Information of relevance for you. Environmentally friendly energy concepts with maximum economy. 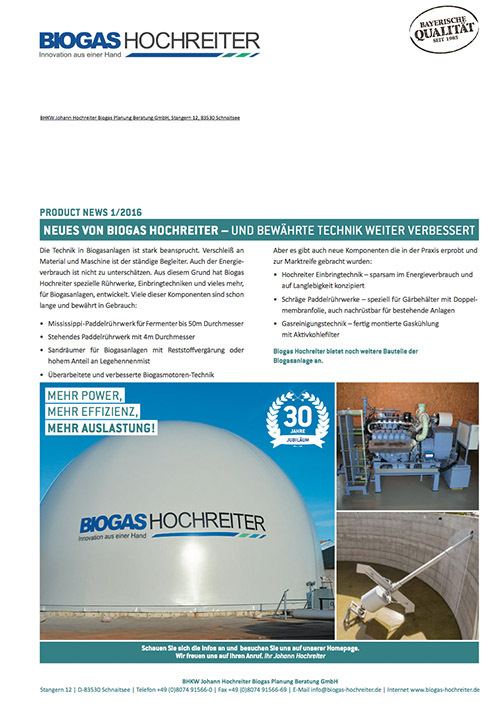 If you want to know what Hochreiter Biogas can offer, find your answers here. 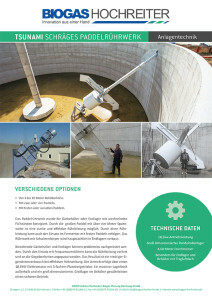 In our current newsletter we will show you a selection of our components and our design concepts. If you have any questions or have found something interesting, do not hesitate to contact us. In this brochure you can find a listing of our CHPs. 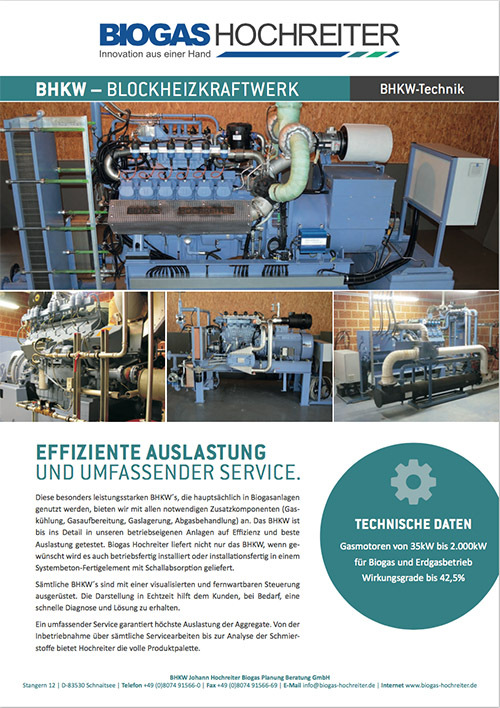 From the smallest CHP with 30kW to a CHP with several MW of electrical power. 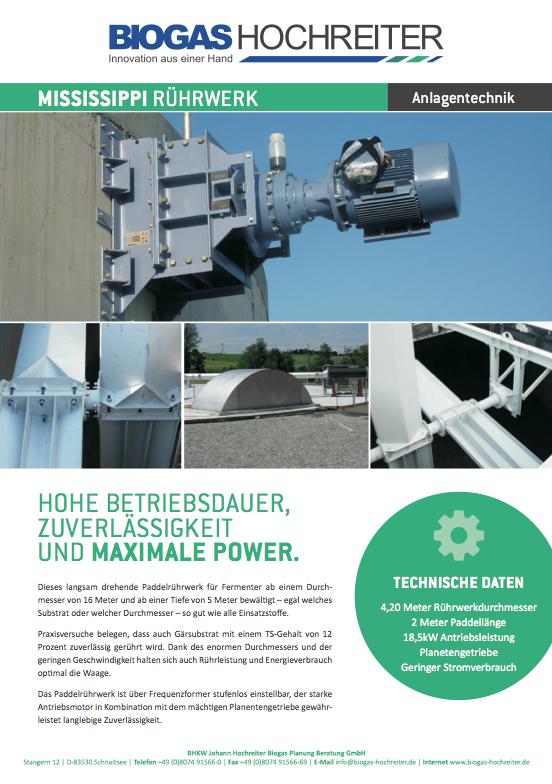 Our CHP are equipped with a self-developed and remotely operable control. The controller enables connection to a smartphone and a view of the control room via real time on your mobile phone. The paddle agitator is designed for fermenting containers or repositories with changing liquid levels. With the large paddle with over four meters span, a strong and effective agitation is enabled. With its high stirring capacity, it can be used in fermenters with fixed paddles. The Mississippi agitator combines great stirring strength with low power consumption. This in-house development has already been installed in hundreds of plants and has proven itself over time. The standing paddle agitator is designed for smaller containers and containers with changing liquid levels. Just as with our Mississippi agitator, it combines high stirring performance with low power consumption. The Rührmaster is an immersion blender that is used to support in large containers. It can be adjusted in height / tilt. In forward and reverse operation, floating crust can also be broken up easily. 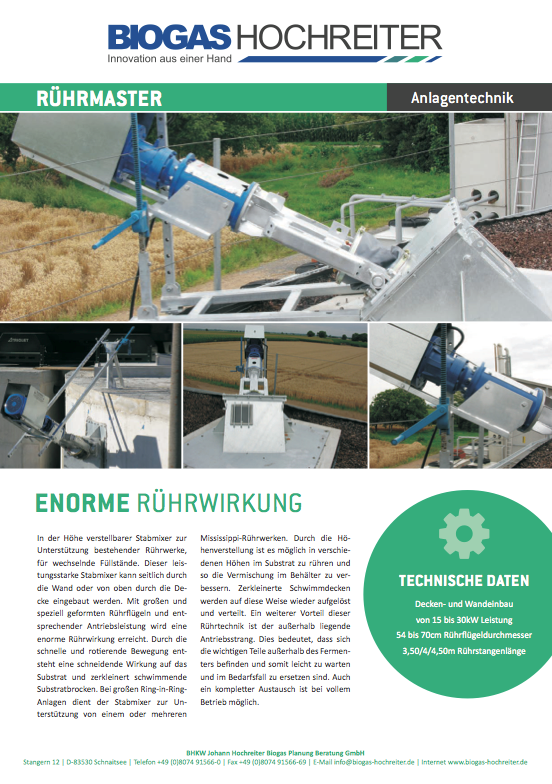 An indispensable component for slurry distribution. In order to transport slurry from one place to another, pumps and pipes are indispensable. 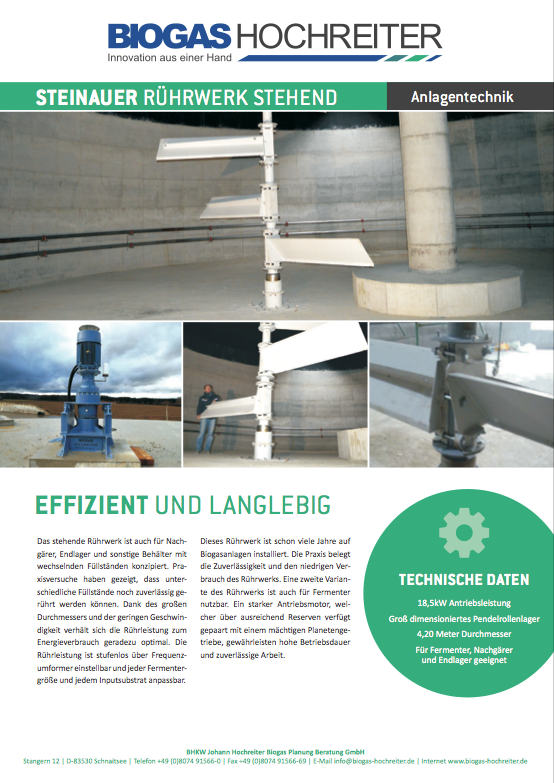 A centerpiece of Hochreiter system is therefore the central pumping station, consisting of pump box and pump manifold bar.